Original style, authentic design and unique new colours and lenses define the look of this new icon – Clubround. Inspired by the famous shapes of Ray-Ban Clubmaster and Round Metal, the Clubround combines the authentic DNA-design of Ray-Ban with a temporary look, giving it a cool and authentic appeal. 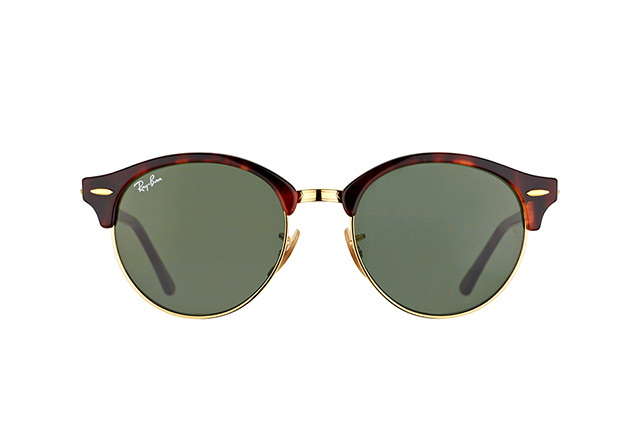 Two of the most iconic designs from Ray-Ban – Clubmaster and Round Metal – come together to create a product that is fresh, authentic and unique: Ray-Ban Clubround. 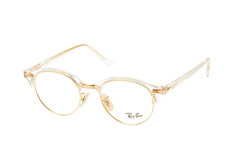 Available as both prescription glasses or sunglasses, the Clubround is perfect for anyone looking for something that is both timeless and fashion-forward. 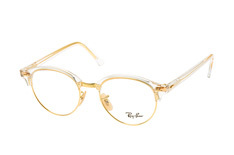 The Ray-Ban Clubround series features new colours for both frames and lenses, allowing you to find a pair that allows your own unique style to shine through. 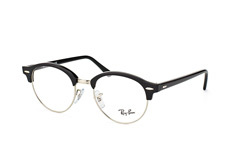 Mister Spex offers Ray-Ban Clubround as glasses, regular sunglasses and sunglasses with prescription lenses, so everyone can find their ideal pair with Mister Spex. All our Clubround prescription glasses are fitted with high-quality lenses, carefully crafted at our professional workshop. The prices listed include standard lenses, but all our Ray-Ban Clubround frames can be fitted with varifocal lenses for an additional cost, if required. 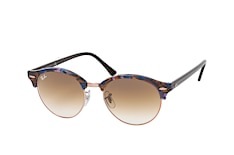 Ray-Ban Clubround sunglasses are more than a fashion-forward accessory. With top-class tinted lenses from Mister Spex, your new pair of Ray-Ban Clubround sunglasses effectively protects your eyes from harmful UV rays and the sun’s glare. 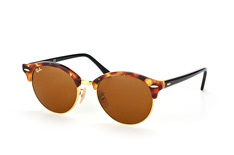 Block out the sun in style with Ray-Ban Clubround sunglasses. For anyone who wears glasses every day: our Ray-Ban Clubround sunglasses can be fitted with prescription lenses. 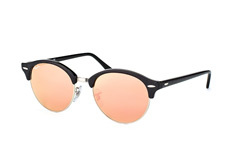 Or you can even upgrade to self-tinting (photochromic) lenses. 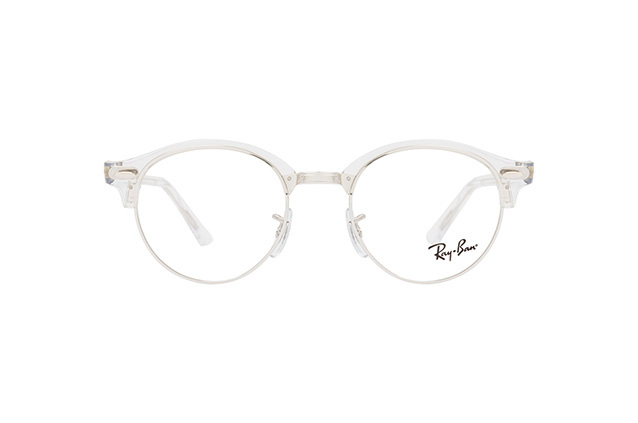 If you’ve browsed our collection of Ray-Ban Clubround glasses and still can’t decide on a pair, give our Try On in 3D feature a go! All you need to do is upload a picture, choose the glasses you want to try on, and line up the virtual glasses with your face in the picture. Try on as many pairs as you like, share your pictures with friends, and find just the right one for you. 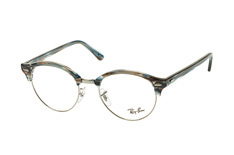 You can also try Ray-Ban Clubround prescription glasses at home using our free home-trial service. 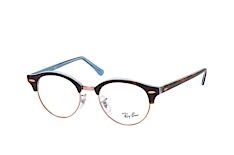 Once you’ve decided on a pair of Ray-Ban Clubround spectacles, we will deliver them to you free of charge (for orders over £29.00) in a trackable package. 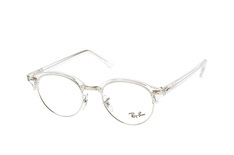 If, for any reason, you are not happy with your purchase, simply send them back within 30 days (at no cost to you) for a full refund. 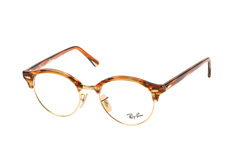 Save yourself time and money: order your new pair of Ray-Ban Clubrounds online from Mister Spex.